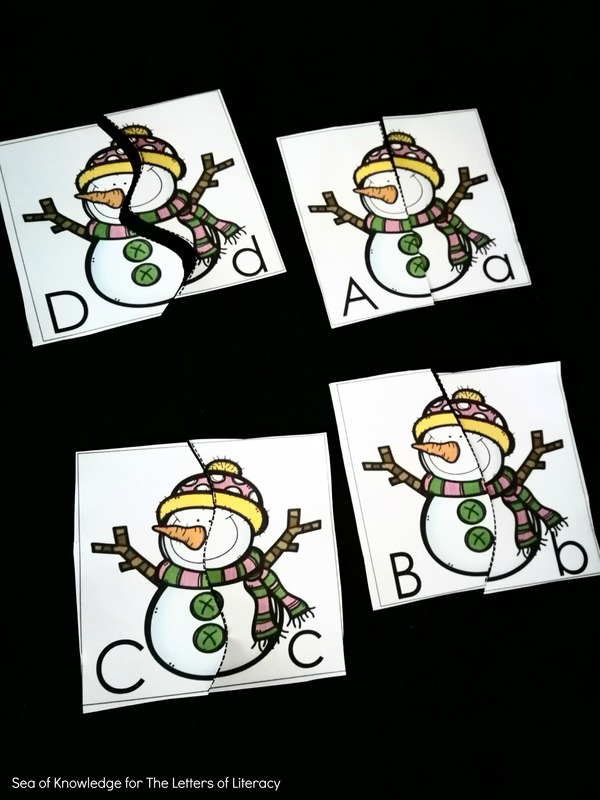 Practicing letter matching will be so fun with these adorable self-correcting snowman puzzles! 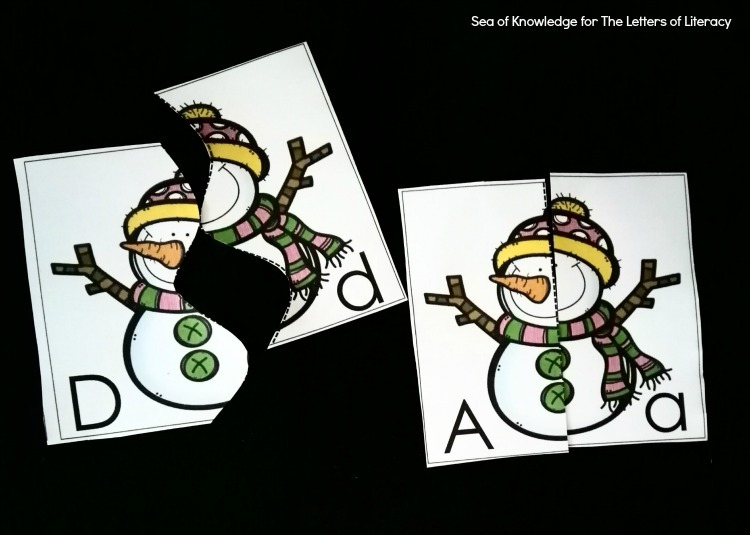 Preschoolers and kindergartners can sharpen their upper and lower case letter recognition skills while putting together broken snowman pieces with this fun alphabet match. They are very easy to setup. 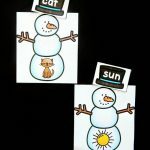 Once you have printed the snowman cards and laminated them, cut along the dotted lines to make puzzles. You can store these puzzle cards in an empty basket or even a file folder. 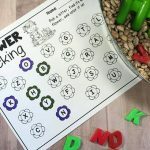 The best part about these puzzles is the fact that they are self-correcting, which means the kids will know if it’s incorrect, as the puzzle won’t fit! There are also a variety of snowman designs included, which also helps them to narrow down their choices a bit. 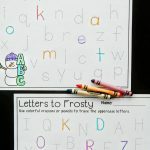 The kids pick a snowman puzzle card and read the letter, then they find the corresponding upper/lowercase matching puzzle card to make a snowman. 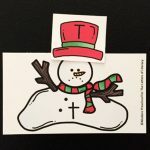 For younger learners or ESL kids who are still being introduced to letters, you could perhaps print a copy of the snowman cards on one larger piece of paper (enlarging it on the copy machine) so that they can see the letters more prominently, or you could choose only a few letters at a time to work with. 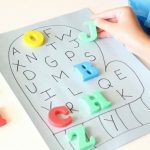 Depending on the needs of your students, all 26 letters at once may seem a bit overwhelming. We like to play “Hunt a Letter” in a small group to match up our upper and lowercase letters, as it gets the kids moving and excited to learn. To play, I have a mixture of the letter cards with uppercase and lowercase letters. I leave some on the table and hide the others around the room or in the general area we are working (hiding can be as simple as scrambling them up in a pile and kids “fish” for them. 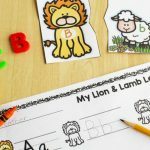 Each student will take one card and go and find the matching upper/lowercase letter. After they’re done, they return the card to the table and take another card. 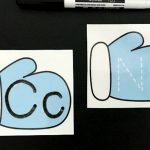 You can do this with only a set of letter cards, or you could review the full alphabet. 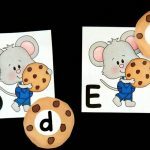 They love moving around and “hunting” for letters, and I love that they are practicing their ABC’s! 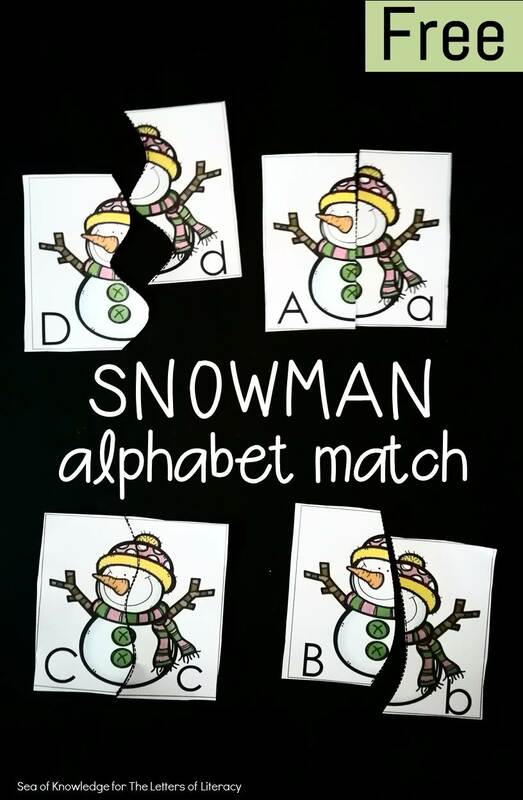 Ready to have fun with this Snowman Alphabet Match? Scroll down to the link to grab your free copy! 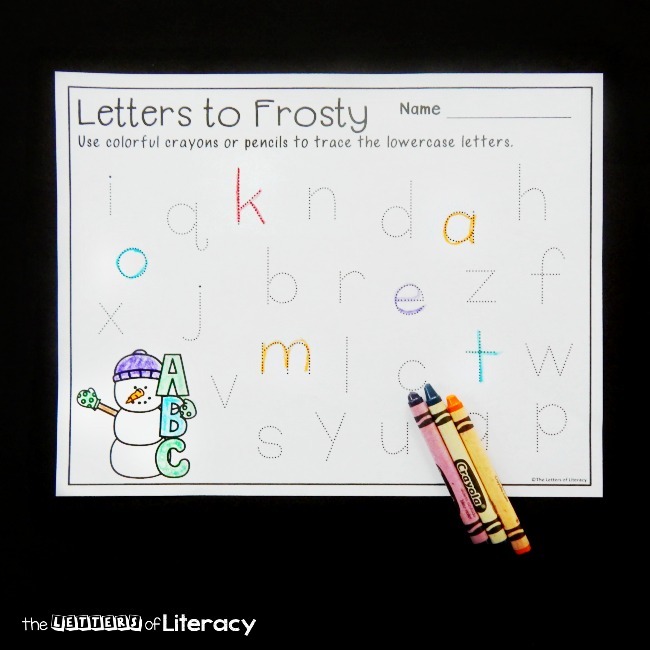 Then, hop over and work on printing your ABC’s too with our Snowman Alphabet Tracing Printables!